Network administration is one of the highest paying areas of information technology. Only a bachelor’s degree is required for entry level positions, and most can make the transition to full network administrators with just a bachelor’s degree and five years of experience. At the end of the article we go into more detail about salary and job growth in the industry. 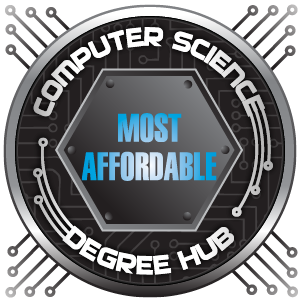 This ranking features cheap online network administration degrees in the United States. All universities ranked here are non-profit, regionally accredited institutions. You can find information on network administration, financing your degree, and more after the ranking. Our sources for all the data used in this ranking are also listed below. 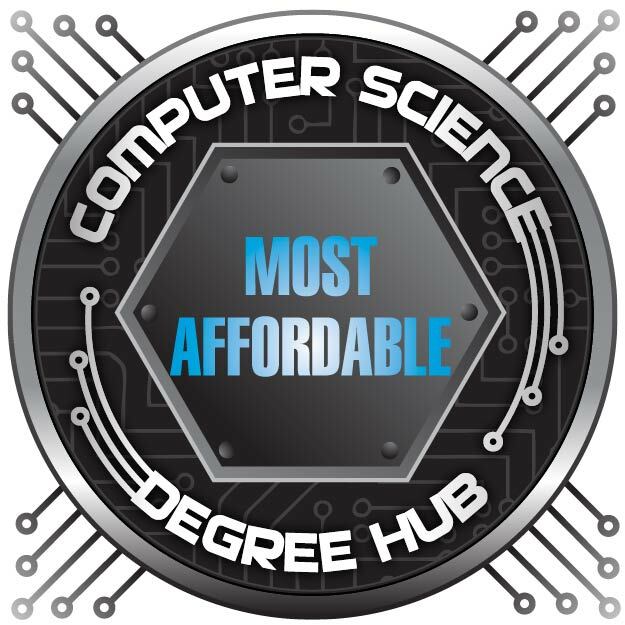 WGU has the cheapest online IT degree on our list. 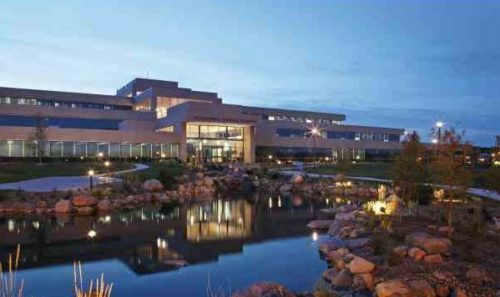 Graduates from Western Governors University’s online degree in network administration have landed jobs as information systems manager, IT project manager, IT security manager, and IT director. The core subject areas for the online degree in network administration include network and security, organizational behavior, business of IT, leadership and management, and IT fundamentals. The program puts equal focus on both the information technology side and the business and management side of the profession. For a cheap online network administration degree, it is hard to beat Western Governors. For an online network administration degree Bellevue offers a very low-cost option. The online network administration degree at Bellevue will train you to develop strategies to tackle problems in both physical and virtual data management environments. You will take courses like Linux administration, advanced networking administration, database administration and design, operating system administration I, II and III, information security, and web server administration. Graduates from this program have worked as computer and information analysts, computer network architects, computer network support specialists, database and systems administrators and network architects, and network and computer systems administrators. CSU Global’s online network administration bachelor’s has multiple concentration options. 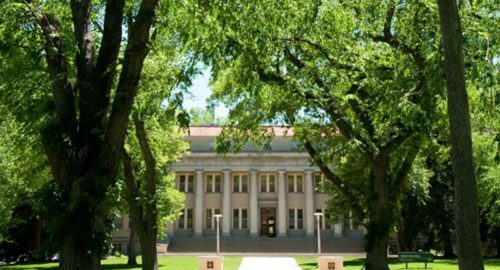 Colorado State University’s Global campus online BS in IT project management concentration is designed to grant students the ability to manage both the technical aspect of networks and the human side of an IT team. There are actually multiple management concentrations to choose from, including healthcare management, operations management and supervision, project management, public and non-profit management, and criminal justice management. You will take courses like information technology project management, database management, network enterprise solutions, and information systems and security. 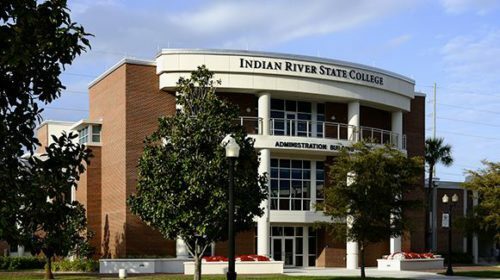 For an online BS in IT, Indian River State’s resident tuition is hard to beat. 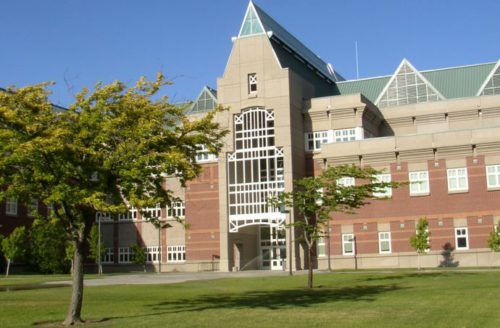 Students who graduate from Indian River State College’s BS in IT management and cybersecurity program have secured jobs in the private sector, the government, and the military. Students will take courses on database design and administration, network technologies for information professionals, network security and cryptography, computer forensics, web application development, and various business and management courses. This online BS in Networking from University of Maine comes at a reasonable tuition. This cheap online degree in computer information systems networking covers ground from fundamental networking principles to advanced networking management concepts. Courses in the program include routing and switching, wireless networks, scaling networks, TCP/IP, virtual systems, connecting networks and network security. Students will also build skills in the areas of project management, systems integration, organizational theory, systems implementation, and systems development tools and techniques. 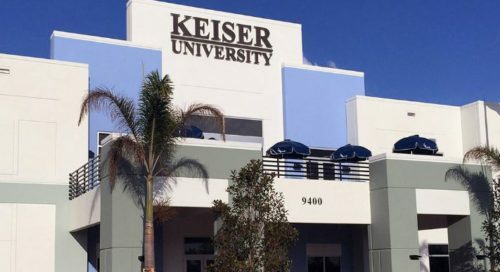 You can move from associate’s to bachelor’s in this online IT degree from Keiser. The online BS in IT management from Keiser offers courses in legal and ethical environments of business, software development: professional and social issues, corporate security policy and preparedness, e-business infrastructure, systems design, information systems implementation, introduction to management/organizational behavior, and project management. The program offers a roughly even split between management courses and networking/IT courses and is designed as a degree completion program for students with an associate’s degree in the computer information systems subject area. CWU’s network administration online bachelor’s is accredited and affordable. This BS in information technology and administrative management is designed to accept the transfer of non-transferable associate’s degrees in the field. The specializations available in this program include administrative management, information technology, and cybersecurity. The information technology specialization is the ideal choice for those who wish to work in the IT field as network or systems administrators. The IT specialization includes courses like IT security, privacy and ethics, project management and information technology, systems analysis, and critical issues in IT. The degree is designed to build on associate’s degrees in information technology and network administration. Take two seven-week courses at a time for an online network administration degree from Tiffin. 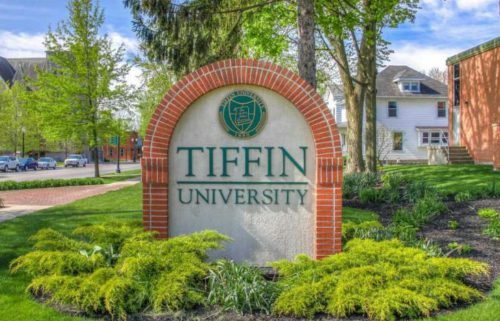 The online bachelor of science in IT in system administration degree from Tiffin covers the best practice administration techniques used across Microsoft, open source, and Cisco technologies. The degree is delivered in a year-round format in which students take two 7-week courses at a time, with five terms per year. Graduates from this program have made successful careers for themselves in systems administration, network administration, database administration, and security management. The program prepares students to complete 13 different industry-recognized certifications including Microsoft and CompTIA certifications. King’s online network administration degree is Windows-oriented. 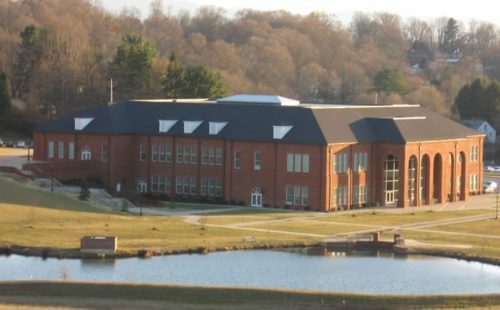 King University offers three tracks for its online BS in IT degree, one of which is an online network management track. The program is designed as a completion program and can be finished in as few as 16 months if the student transferring in only needs to complete the major coursework. It should be noted that because this program requires Microsoft Access, which is not currently compatible with the Apple operating system, students will have to use Windows in this program. CBU’s online bachelor’s in network administration is fully online. 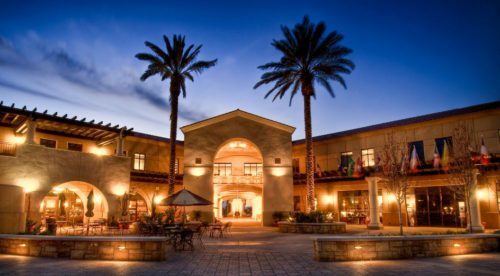 California Baptist University’s online network administration degree is offered 100% online. Students will take courses dealing with areas like advanced computer networks, network engineering, network security, VOIP, wireless networks, operating systems, computer programming, ethics, and leadership theory. While the online degree in network administration is offered fully online, students can also transfer in. The 48 credits required for the major (after other bachelor’s requirements have been met) can be completed in just 16 months. According to the Bureau of Labor Statistics, systems administrators typically have a bachelor’s level education. Most start in entry level positions with a bachelor’s and move into systems administrator positions within five years. The median salary for information security analysts is $92,600 per year, ranging between $47,000 per year on the low end and $120,000 per year on the high end. The job growth, according to BLS, is 28% between 2016 and 2026, a total of 28,500 jobs. Network administrators (often also called systems administrators) have a lot of responsibilities. The scope of the position can be wide or narrow based on the nature of the specific company and its structure. A rough overview of the responsibilities you can expect to fulfill as a systems administrator follows. Installing networks and computer systems (both hardware and software). Maintain, upgrade, repair, multiple network and computer systems. Troubleshooting including diagnosing and fixing problems and identifying potential problems and heading them off. Monitoring the network and systems and constantly striving to improve performance and efficiency. Securing the network against malicious attacks both from the inside and the outside. First, I want to mention community college. If we’re being honest, most of us aren’t going to be attending ivy league universities. They aren’t exactly famed for their accessibility. That being the case, I like to encourage students to consider doing their first two years of university at community college. 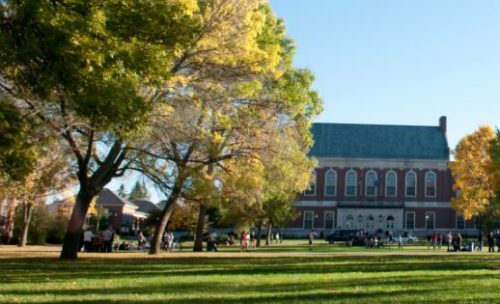 Sure, it’s not the Hollywood college dream of dorm rooms and month-long parties, but when you consider that your community college tuition can be covered in many cases by just one or two federal grants, it starts to look very good. Not to mention that good grades in community college will allow you to transfer into just about all the best state universities and a good many of the top private schools. So if you’re looking to get your college education for a great price, community college is a great place to start, regardless of your age. Many community colleges have online programs as well, so chances are you will be able to attend community college without ever having to set foot in a classroom. Your first stop when searching for financial aid should always be FAFSA. This is where the bulk of everybody’s financial aid should be coming from. Federal education grants are essentially free money, and federally subsidized student loans have incredibly low interest and tons of great programs for paying them back. After that, private grants and scholarships should be where you look. Finally, if all else fails and it’s your only option, you can apply for private student loans. Private loans tend to be the worst deal, and the most expensive form of funding. So make sure you exhaust your other sources first. Online learning can be a godsend because of its flexibility. Most students who earn their degrees online are older than the traditional college age. However, with the ever-growing selection of degrees being offered online, and the first generation to grow up with the internet hitting college age, the online option is going mainstream fast. But how do you know if it’s the right fit? That’s not an easy question to answer. Are you the kind of person who can learn by watching videos? Would you be comfortable taking tests online or would you be too easily distracted? Can you handle not having any face-to-face interaction with your professors and fellow students? Are you highly self-motivated and disciplined? While online education is a great option, it’s not ideal for many students. If you need the flexibility and are comfortable with the format and technology, online education offers unprecedented levels of flexibility for anyone seeking to earn a degree. This concludes our ranking of Cheap Online Network Administration Degrees for 2018.